You can now export character portfolios from Hero Lab and import them as tagged NPCs in Campaign Logger. Note that this is a beta feature. We’ve only tested this with D&D 5E portfolios. If you encounter any bugs, please let us know and send over your Hero Lab portfolio .por file for us to test. 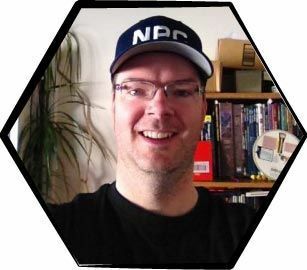 Build your NPCs and PCs in Hero Lab. Campaign Logger supports single and multi-character Hero Lab portfolios. Create a temporary Campaign Log to import the Hero Lab portfolio into. You want to use a temporary log in case the import does not work. You don’t want to ruin your main Campaign Log or experience a partial import and have to do some clean-up afterwards. Once your temporary Campaign Log is created, open it up. Then click on the import button under the Log Entry area, to the right. Import might take awhile depending on how many characters you have in the portfolio. All characters imported will automatically be tagged by their name. They’ll also be given a bit of formatting to help you read the stat block better.